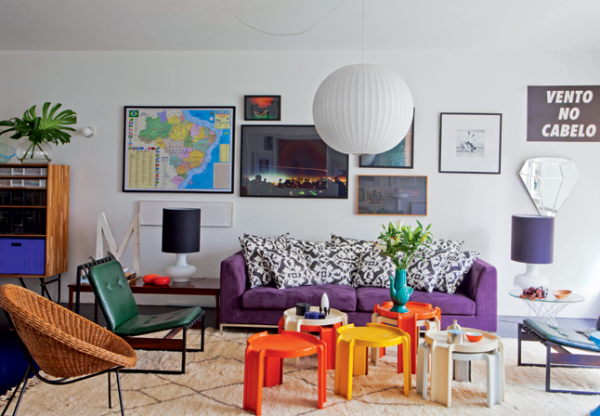 We love the color combination in this living room. The oranges, browns, and greens look fabulous together. We especially enjoy the touches of black and the magnificent patterns. 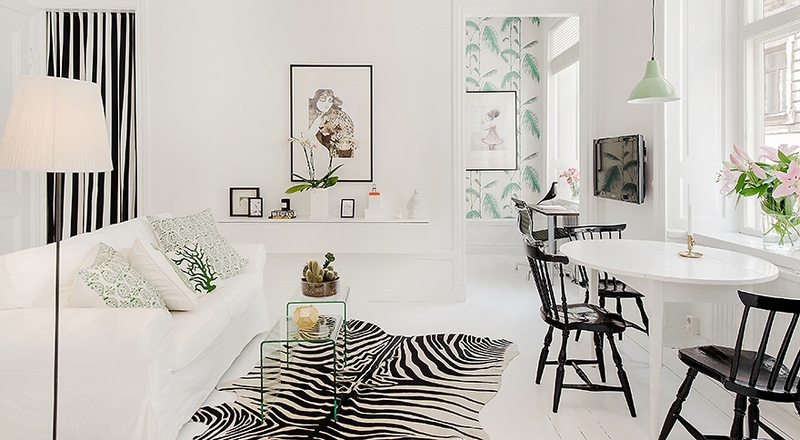 The bright white walls and furniture keep the space open and bright, maintaining a cheery atmosphere. The shelves, full of books and knickknacks, personalize the space, and add a significant amount of interest. 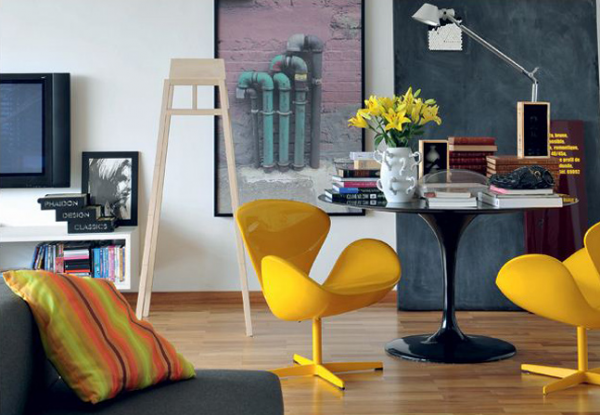 The two pieces of artwork on the wall are the perfect touch, their placement brings a more cohesive feel to the design. 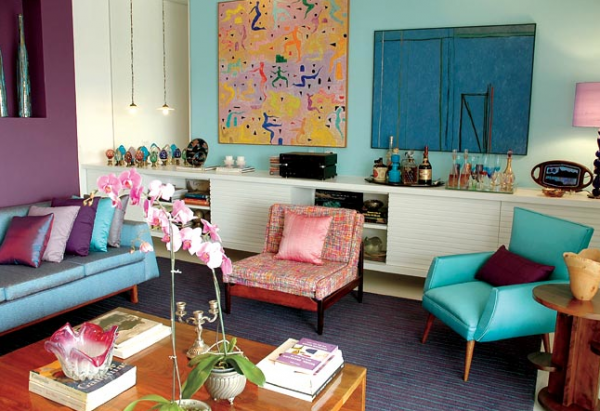 The elegance in this colorful living room inspiration is off the charts. The curtains and the chandelier add a healthy dose of glamour to the space. The grays and the greens look gorgeous, perfectly complementing each other and the design, and we love those chairs. The mirror on the beautiful gray wall was a fantastic design choice, effectively opening up the space, and the hardwoods do a wonderful job of cozying the living room. 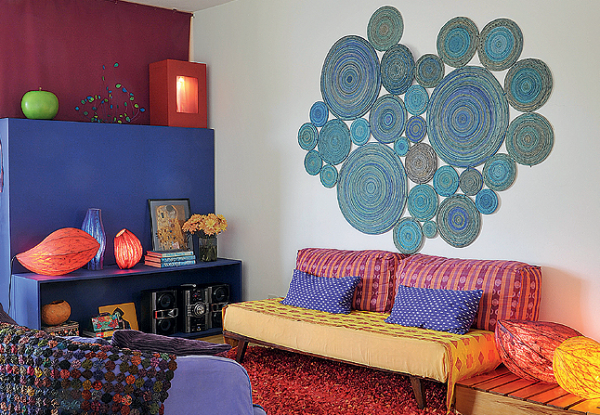 This is probably our favorite colorful living room inspiration. The large windows are gorgeous, providing the room with a lot natural light. 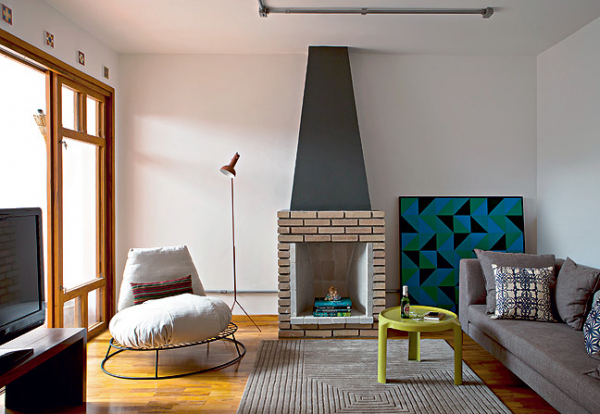 The brick fireplace is a delightful centerpiece, perfectly dividing the room. We adore the light brown and black vent combination. Off to the side, a striking geometric artwork, along with the green coffee table, brings beautiful color to the room. The gray sofa and white chair are attractive and interesting, and the gray rug adds texture to this sleek design: positively stunning. 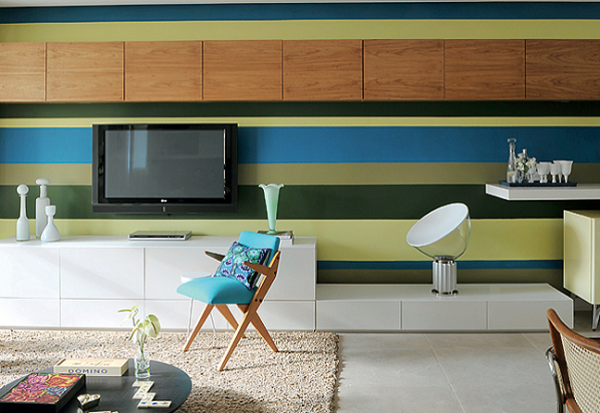 This living room design caught us with its beautifully striped walls. 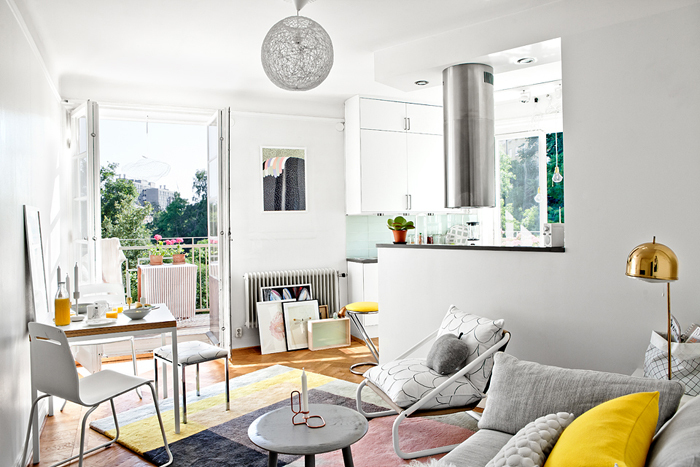 The modern aesthetic is focused and interesting in this space, giving it a lot of personality. We love the unique color combination, including the addition of the turquoise chair. The cream shag rug is delightful, adding a touch of coziness, and the modern white storage is polished and perfectly suited for the design.